Known as AQUARIA, this centre is a good place to go for a time of entertainment as well as for education on the wonders of the marine world after your shopping in Suria KLCC. Located within 5 minutes walking distance from Suria KLCC, this aquarium features over 5,000 animals of 150 species of aquatic and land animals from Malaysia and around the world. The big signage welcoming you to the Aquarium. 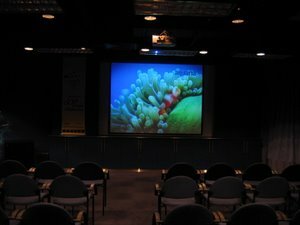 The multimedia presentation of the exhibits in Aquarium KLCC before you enter. Here are some of the exhibits. 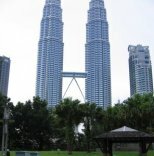 As you enter aquarium KLCC, you will see the forests with streams of rivers flowing down the mountains. 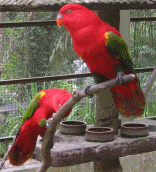 The tropical rainforest of Malaysia is featured here where you will be able to see the jungle animals and the typical sound that you will hear if you go to the jungle of Malaysia. The Flooded Forest shows the ecosystems where trees, plants and sea creatures co-exists in harmony with nature. The coast has the typical mangrove plants where crabs, prawns, mud-skippers and monkeys abound. There is a Gene Pool for those who are curious to feel how the sea creatures actually feel like. A 90m underwater walkway tunnel awaits you towards the end of the exhibition. The rich marine life is seen through the acrylic class as you walk underneath it. You will see the powerful Sand Tiger Sharks as they are being fed by the trainers in the water. Colourful fishes with beautiful coral reefs add to the beauty of the ocean life. Remember to take along your video camera to record your experience here. If you are keen to learn in greater detail about the exhibits, there are interactive Information Kiosks that you can use. Those who are adventurous may want to try to "Dive With Sharks" for a fee of RM424 which includes the entrance ticket, rental of the equipment, certificate, and a T-Shirt. 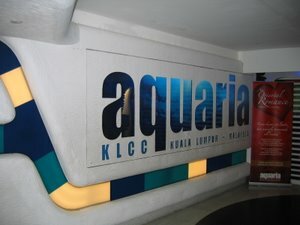 This AQUARIA is open from 10am to 8pm everyday with the last admission at 7pm. The best means of transport to come here is using the Kelana Jaya Line LRT. Board the LRT and stop at KLCC station. Follow the signage to AQUARIA KLCC and you will be here in about 10 minutes time. 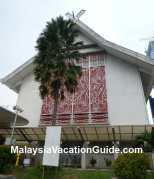 RM46 per adult with MyKad. 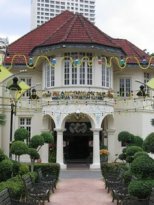 RM35 per child from 3-12 years old with MyKid. RM35 for those 60 years and above. RM53 per child from 3-12 years old. RM43 for those 60 years and above.